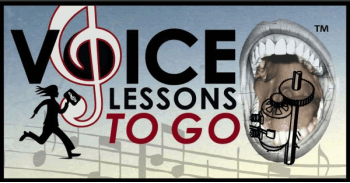 Saving your singing voice for the big moment - learning to "mark"
It is a terrible situation to be in when you have vocal fatigue and you still have to sing. It is one thing to be rejected after showing your best performance, at least then you know they made a choice after seeing the best you. But to have to perform sub par and then to be rejected leaves you filled with regret and frustration, "if only they saw what I can really do..."
We need to protect ourselves as singers. No one will do it for us, no one knows our limitations except us. It is so important singers that you save the juice for the right moment. Like any athlete, we can only use our correct muscles with proper support for so long before we strain and thus compromise them. Singing has its limitations. You as a good singer need to learn to feel them and to listen to them, no matter the circumstance. "Marking" is a term that we use when not singing out. Some people are better at it than others. 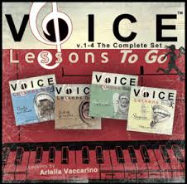 Essentially you sing down the octave, or with half a voice, or speak gently in tempo to mark the vocals while learning the harmonies, dance moves, blocking, or trying to memorize lyrics. I am not referring to whispering which is very harsh on the voice. Marking is gentle singing- no powerhouse sound. That is what you need to do in a situation when you are repeating a song to get through a rehearsal. Especially when you have a lot of important solo singing coming up. You do not need to mark all the time in your rehearsals. If you are rehearsing to work on the sound then by all means sing. But, when a performance is pending you have to be protective and only give when the judges are listening. I am sure that is a hard thing to do on The Voice. They are learning new music and working with great coaches every week. They need to be impressing everyone around them, make their mark, stand out to be filmed etc... but the singers need to weigh the importance of the whole week of singing- not just the moment of singing. As a professional singer, you need to learn how to "mark", but like everything, it takes practice. If you don't do it right you could strain your voice. So practice it every once in a while by singing light, half-voiced, with no pressure on any muscles when learning or going through your own music. I have been in long term high demand singing situations myself with overlapping rehearsals, auditions and performances. It took me years to figure out how to balance it all. The best thing you can do to offset this is to keep your voice in CONSTANT vocal shape so that you are prepped for a lot of demand when it is necessary. We forget this sometimes when we don't have something coming up, but you never know when you will get that phone call. 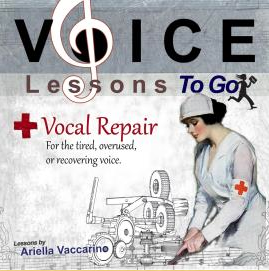 Develop your strength and stamina as a singer by practicing and training regularly. Build up the amount of time you spend singing on a consistent basis. Never strain your voice if you can help it, be silent when you are sick, and rest vocally when you need it. If you would like to sing for me, before that next audition to get feed back, I offer a service called Vocal Assessments. There are many levels to choose from. Submit your voice through a link, or attachment with your questions and I will give you an honest constructive Vocal Assessment within the week.